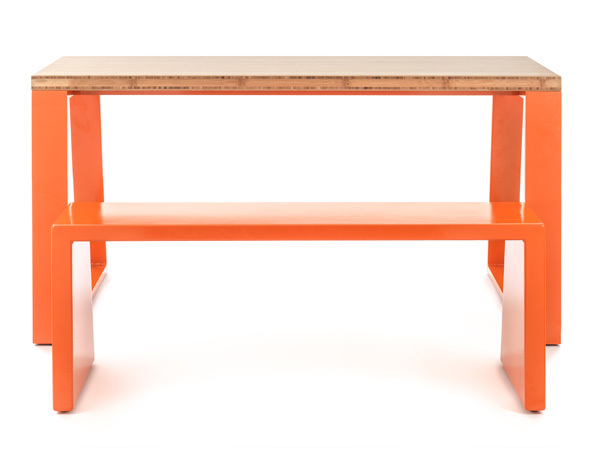 Jennifer Newman Studio has launched a new table and bench for indoor and outdoor use. 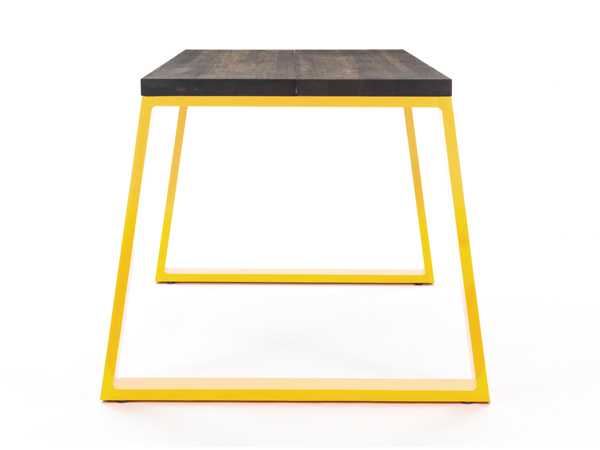 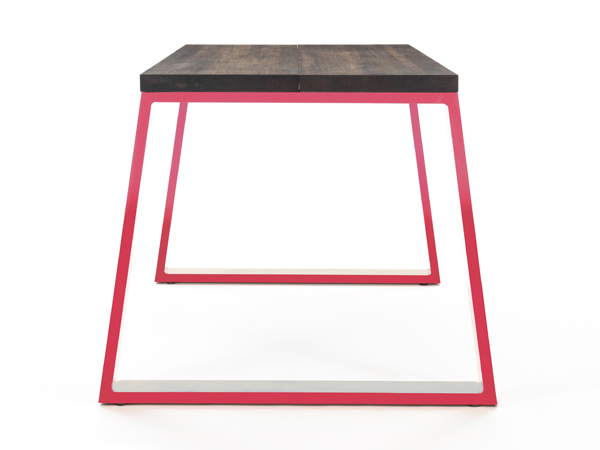 Each is made of a powder-coated aluminium frame, and the table features a bamboo surface in a choice of two tones. 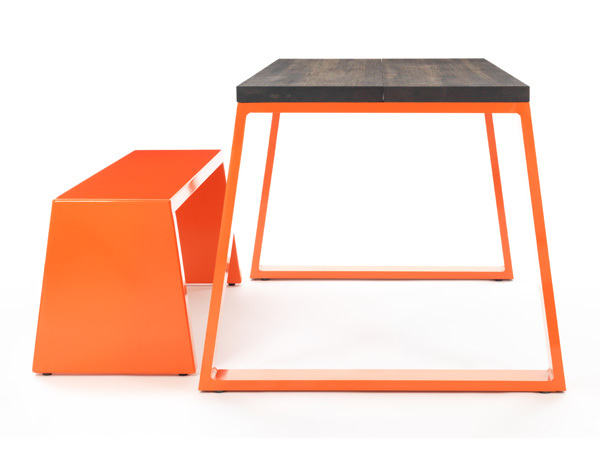 The bamboo tabletops are available in a dark chocolate colour for outside use or a lighter caramel for inside use, while powder coating is available in a range of bright colours for the aluminium structure. 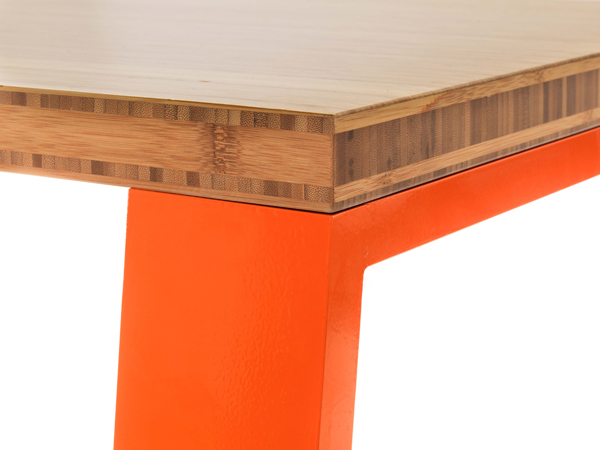 The new products will make their show debut at Clerkenwell Design Week this May.